It is time to sell your old gadgets and get new ones. It is time of the year where geeks can get experience the latest products and witness unboxing of products live on stage. In Gitex Shopper you will be able to fly drones in Xperience zone and get your hands on the latest products before they get released in the market. This is the region’s longest-running electronic bonanza where consumers can meet sellers, and gamers can take part in gaming competition which is happening for the first time. Instead of getting bored in your home, it is time to get out from the home and run for Gitex Shopper 2018. 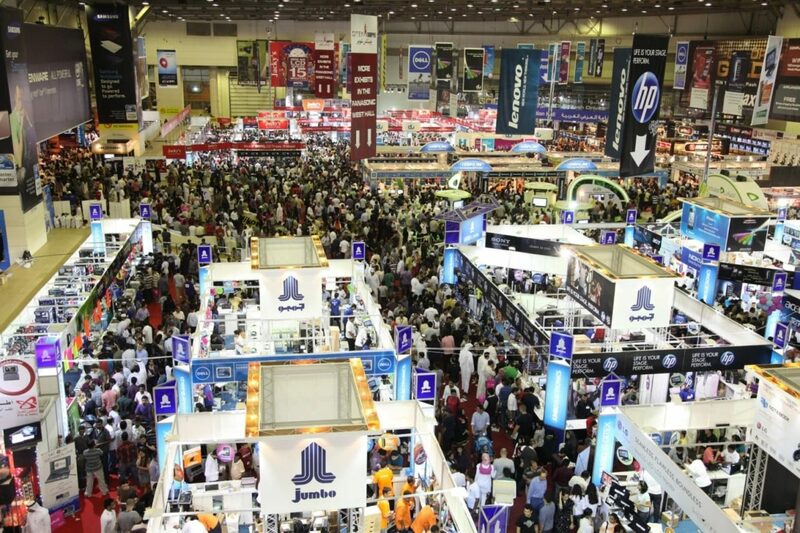 You might not realize this, but for people who love technology, Gitex Shopper is a paradise on earth. Without any further due, let us get directly into why you need to visit Gitex Shopper this weekend. Starting from small electronic brands to huge retailers, you’ll be able to shop from around 35,000 products which you will be able to take home directly. At Gitex Shopper 2018 you’ll find the best electronic deals from popular electronic stores in UAE. 2) Before you buy, try! What is the point of buying a product if you don’t know the experience it gives to you? Here you’ll be able to experience the product first-hand before you make the buying decision. Feel the product in your bare hands before you find the right product for you. The grand theme of Gitex Shopper is to gather all the tech minds in one place. Take first-hand advice from a team of Tech Radar on which products to buy. Get a session on tips and tricks on the latest gadgets and gizmos. From switching between iOS to Android you’ll be able to compare every single product without thinking too much about it. Furthermore, there is an opportunity to check out one-on-one advice about the latest laptops, tablets, TVs and more. 4) The Stock is Limited! Get here fast! One of the key popularity factors of Gitex Shopper is the killer deals. You can browse the latest laptops, smartphones, iPhones, TV, and much more. To get your hands on those deals you need to act right now before the stock runs out. With the rise of gamers within UAE, there is an addition of battle for gamers in Gitex Shoppers 2018. Bring out your A-game at the conference. There is a five-day blitz of video gaming tournament happening providing opportunity to show off their skills on games from Fortnite to Fifa. With more than 300,000 visitors, brands are rolling daily competitions in Gitex Shopper 2018. Take part in competitions and win vouchers from Dell, Compact, Baku in Azerbaijan, Yerevan in Armenia, Goa in India, and Herzegovina in Bosnia. Get yourself on Uber & get here right now. No need to put your old items in the junk. Bring all the electronic items in Gitex Shopper and redeem special vouchers against those products. There is a trade-in area where consumers can connect with other consumers and trade-in products. Even if you don’t know how to fly a drone, you can go into Xperience Zone where you can learn and become an expert in flying drones. Get first-hand experience and training on the latest technology and test your flying skills in a safe environment. And the best part is if you like a drone you can get it at amazing discounted prices. If you’re someone who loves unboxing products, Gitex Shopper is providing you an opportunity to witness the new products which are streamed live. Tons of products will be unboxed on stage and you can meet your favorite YouTubers in person for the first time. The best part in Gitex Shoppe is the ticket which is priced at DH20, which is reduced from last year. Creating even more convenience for visitors, Gitex Shopper 2018 is offering free parking at DWTC to those who spend more than Dh300 at the show. With more than two decades of success, GITEX Shopper is the largest and most influential consumer IT and electronics sales exposition in the Middle East. And you cannot afford to miss this chance just because you don’t feel like moving out from your house.